As some of you might know, there’s a lot going on in Nashville this week. It’s that time of year again where 250,000 country music fans converge on the city for “CMA Music Fest Week” (formally known as Fanfare). Tourists, country music fans, and curiosity seekers from all over the globe will fill the streets, shops, hotels, restaurants, nightclubs and concert halls, and while this can make getting around a little sticky for the locals, it is truly an exciting week for Music City, not to mention good for the local economy. This year, I am fortunate to play my own part in these festivities. Monday, June 13 I will be giving my first talk on the book when I host “The Nashville Musician’s Survival Guide Workshop” at Corky’s Ribs & BBQ, 100 Franklin Road, Brentwood, TN 37027. This luncheon will be sponsored by “Indie Connect” and held between 11:30 AM and 1:30 PM. Cost $10.00. This presentation will be somewhat informal and there will be a lot of questions and answers, networking and group interaction. Other than that, it’s been hot as hell in middle Tennessee for the past month, and we’ve had over 10 straight days of 90° plus heat with no end in sight. Stay on the lookout for heat and poor air-quality advisories. So that’s it for now, if you’re around, please stop in to one of my events or gigs and say hi. 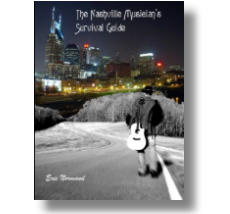 Today marks another milestone in my self-publishing book adventure, that being the arrival of “The Nashville Musician’s Survival Guide” epub and Kindle versions. I am pleased to announce that these digital formats are now available for purchase on my web-store for the low price of $9.99. While I am still a big fan of old-fashioned paper books, and the original vision of my book was one which was printed on paper, I do see the practicality of eBooks and understand their growing popularity. In this hyper-digital world it comes as no surprise to me that printed books are starting to fall by the wayside, similarly to the demise of CDs, VCR tapes, and newspapers. But I believe there will always be a place for printed books, and therefore my book is available in both print AND electronic versions. When the printed version of my book was complete I focused on the eBook conversion and hired a company that specializes in this work, eBook Partnership. During this process I learned a lot about the benefits and drawbacks of eBooks. A person can now carry hundreds of books in one small device. They are delivered almost instantaneously. They require no packing or shipping expense. They can show links, allowing easy access to related information and websites. Fonts can be resized to allow easier reading. The sale and transaction are instantaneous. They require no packing or shipping. They’re easier to sell internationally as shipping packages abroad is very expensive. They can be more affordable to the masses as they’re typically less expensive than printed books. They require essentially no storage space. If your battery dies and you aren’t somewhere where you can plug it in your screwed. ebooks lack the look and feel of a traditional book – i.e. cover, pages, binding, etc. Unlike traditional books there is no market for used eBooks, so a reader can’t recoup some of their original investment. And perhaps the biggest drawback from an author’s standpoint is that eBooks lend themselves to piracy. As we all know, when the music industry went digital, this was the start of the illegal filesharing era. Similarly to the MP3, the eBook is also far more prone to theft than its predecessor, the paper book. As the day on which I would release my own eBook drew near, I started looking into ways to protect my electronic book from piracy. I learned that there are protections that can be applied to my eBook to prevent this kind of theft but this would be expensive, and it would not be foolproof. The truth is that even Kindle and ePub versions of books with the most advanced piracy protection (like the kind of protection applied to eBooks sold on websites like Amazon and Barnes & Noble) could be disabled by the savvy computer hacker. In other words, if somebody really wants to they can take any eBook, disable its copy protection, and pass it around the Internet as fast as a jar of moonshine will get passed around a Kentucky campfire. So I have priced my eBook very reasonably – hence $9.99 (thousands of hours went into this project so I can’t simply offer it for free.) I hope that most musicians, the prime audience for this book, realize that this work has value, similarly to the way a songwriter or artist places value on their work. 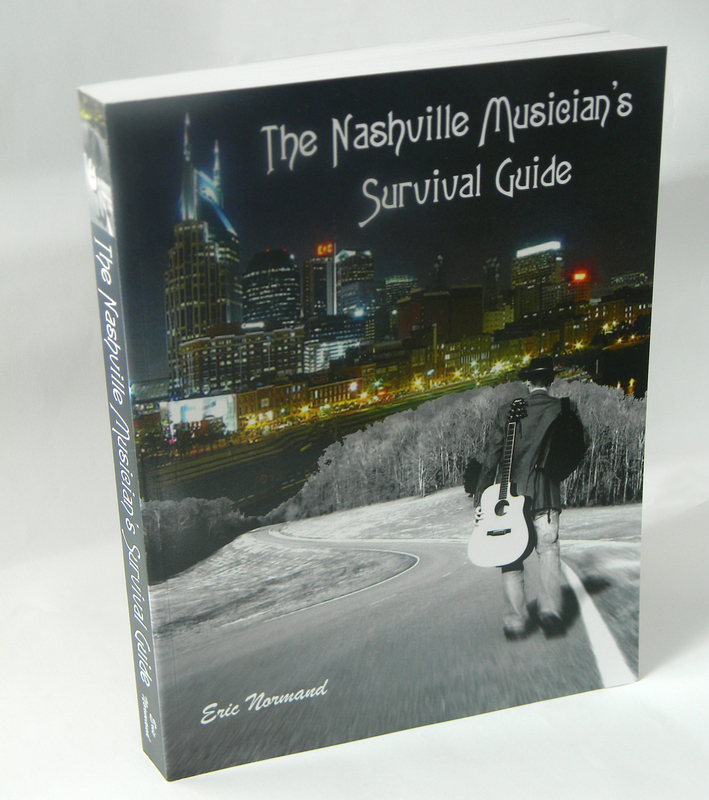 So steal it if you must, but if you truly want to help preserve the noble endeavor that being an author or songwriter requires, follow this link and get your copy of “The Nashville Musician’s Survival Guide” today! 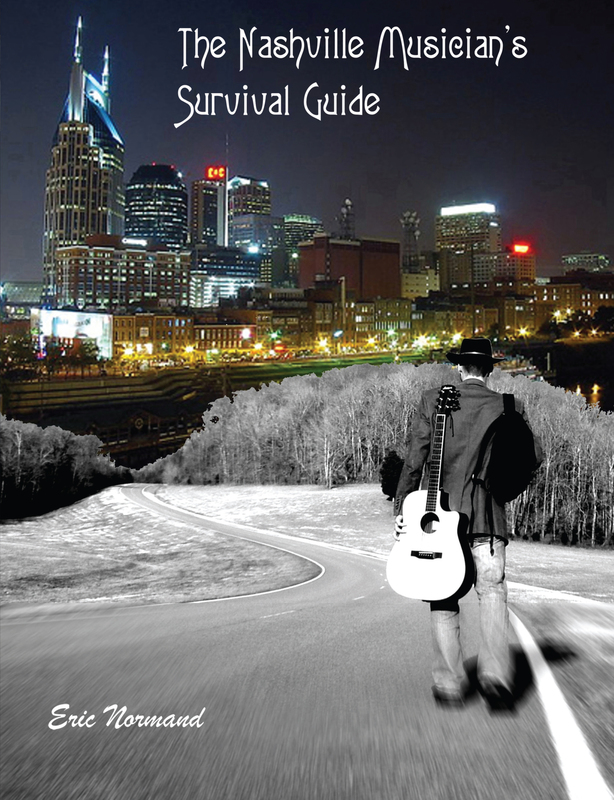 Come out tonight for the official book release party for “The Nashville Musician’s Survival Guide” at The Fillin’ Station in Kingston Springs, TN (7 – 11). Many of the contributors to the project will be in attendance and the first three people to ask will receive a free copy of the book. My band will be playing featuring former “G-man,” Mike Chapman on bass; Nick “Shaggy Bag” Forchione on drums; and me on vocals and guitar. There might even be a few special guests. After 2+ long years of research and writing, I’m excited to get this book out into the world. This project has been all about paying it forward, and I believe this book will prove to be a useful tool for many musicians trying to find their way in this crazy business. This will be a very special night, and one to remember for a long time to come. So come on out for the festivities! 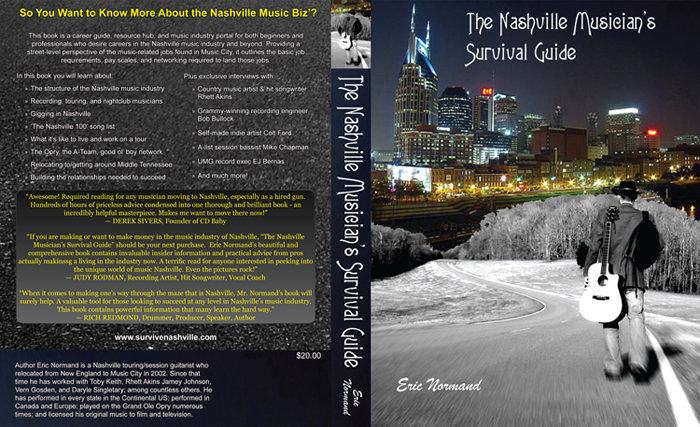 After 1.3 miles you’ll come to a stop sign – turn right onto North Main St.
“The Nashville Musician’s Survival Guide” Is Here! “Awesome! 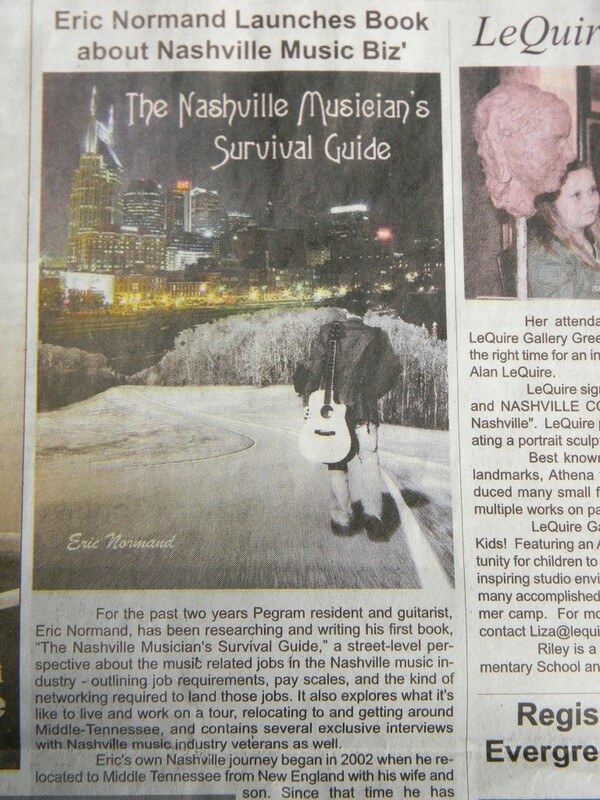 Required reading for any musician moving to Nashville, especially as a hired gun. As you could imagine, there was a big celebration at the Normand house when these e-mails arrived! When I embarked on this journey two years ago last January, I had no idea I would be entering the world of book self publishing. In fact, when I initially began writing the content that became the foundation of this book, I had no intention of writing a book at all, or even the knowledge about how to go about doing this. At that point in time, I was simply trying to help a few folks on Craigslist and other message boards who wanted some info about the Nashville music biz’. The next thing I knew I was writing a book, almost by accident. The more I wrote, the more I began to understand the massive scope of this project, and the work it would entail to finish it – Internet research, extensive recorded interviews, photo taking excursions, etc. At some point along the way the book began writing itself. It was as if I was a mere conduit, the end result first being the story of the modern-day Nashville music industry magically appearing on my computer screen, and now in this wonderment of a book. I couldn’t have done it alone either. Dozens and dozens of people have contributed their time and resources to this project and for this I am eternally thankful, their contributions have made this a far greater book than I could have produced alone. While the entirety of this project has been a massive undertaking (there were many times that I felt as if I would be writing this book for the rest of my life), this has truly been a labor of love – my way of paying forward all that I have learned in this strange place we call Music City, and I am absolutely thrilled with the end result. P.S. If you live in middle Tennessee, I would like to invite you to our official book release party at The Fillin’ Station in Kingston Springs on Saturday, April 30 from 7 to 11. Many of the contributors to the project will be in attendance on this night, there will be music performed by my band (Mike Chapman will be on bass and Fran Breen on drums), and the first three people to ask will receive a free copy of the book. It amazes me how every day is so packed full of tasks. As soon as I’m finished with breakfast, I excitedly walk up to my office, sit down at my computer, and dig in to this book project that has all but consumed my life for the past two years. I’m about two days away from sending the finished PDF off to the printer, yet it still seems like it’s never actually going to happen. Yesterday’s big task was all about finishing the cover design. I had some major help with this all-so crucial and final last step. This help came in the form of the world’s greatest graphic designer (AKA my wife, Kelly). The cover came out great. The front cover art was completed last year, but we still had to design the spine, and the back cover. According to “Dan Poynter’s Self-Publishing Manual,” the back cover is the most important element of your books exterior. For it is the back cover text that will ultimately cause a potential customer to look inside, and hopefully purchase the book, or, put it back on the shelf and pass on it. And of course, it must have a look and feel that makes people want to read it when they pick it up. There was one other interesting moment in the last couple of days. 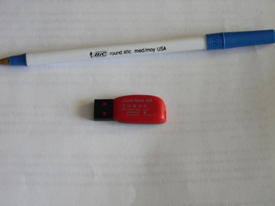 Last week I took a flash drive down to Staples and had them print out the entire manuscript on premium copy paper, and then fasten it together with a ring binder. This was so we could give the book one last proof read, check for photo resolution, formatting, etc. (there’s a lot of stress involved when you’re about to spend thousands of dollars to print a book no one has even read yet.) But the funny moment came just before leaving for Staples when I put the flash drive on the kitchen table and made the comment “So there it is, my entire life’s work for the last two years reduced to one, microscopic flash drive, barely the size of a walnut.” It seemed so strange and surreal. Anyway, just a few more details and I will be done with all the “tasks” required to get this long awaited book out into the world. I really am getting close, but it still seems like I will never finish. Well that’s it for now; got to get back to those tasks …I’ll keep you posted! April 18, 2011 – A Date That Will Live in Infamy! (Sorry, I couldn’t resist). Monday, April 18 is our new, official release date for this long overdue book about the Nashville music biz’. When I first embarked on this project, some two years ago, my thoughts were simply “there seems to be a void of information out there about the Nashville music industry, so I’m gonna write a book about it. I mean, how hard can it be?” This was probably the biggest understatement of the century. I had no idea how to write a book at that point in time, I just knew that this book needed to be written. So I wrote, and wrote, and wrote. A year later, I thought I was done writing. At that moment, it seemed finished. I turned my manuscript into a PDF and had a couple of rough drafts printed. As I read through this document I made many corrections and notes, and by the time I was finished, I realized I hadn’t covered all the bases. So then the project entered phase 2. I had a handful of new chapters that I needed to write, but I also decided to pursue some more interviews, my thought being that this would help broaden the books perspective and appeal. Around that same time I bought the book “Dan Poyntner’s Self Publishing Manual.” After skimming through this fascinating must-read for first-time authors, I began to compile a massive “to do” list. It seems there were dozens, if not hundreds, of little details (many that turned into huge details) I hadn’t thought of – things like: writing back cover copy, purchasing an ISPN number, setting up a P.O. Box, setting it up as an e-book, photo permissions, photo captions, and of course, what is often the most neglected task of authors, marketing. I also learned in my research that, in general, traditional book deals do very little advertising for their authors. If an author wants their book to sell, unless their name is James Patterson or Stephen King, they must promote their own book. As I am self-publishing, this means that promotion is entirely up to me. Enter Eric, the blogger. Not only has blogging turned out to be a great way to build a readership, it’s been a fun and exciting learning experience as well. 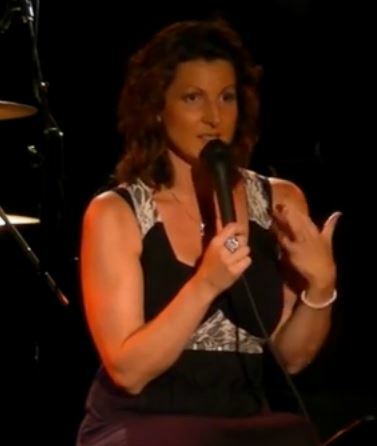 Writing a new blog every few days about everything from my shows on the road with Rhett Akins, to the Nashville flood, to self-help tips for musicians, to progress on my book, has been very rewarding. For instance, after writing a blog a few weeks ago about tinnitus, I got a few e-mails from different musicians informing me that they are buying earplugs. At the same time I began blogging, I began soliciting “chapter reviews” by my peers and experts in the industry, as was suggested in the self-publishing guide. By involving other individuals as contributors, this not only served to further help market the book, but it also greatly improved its content. The next hurdle turned out to be the interior design. Upon looking into hiring someone for this task, it quickly became obvious it would be extremely expensive. This discovery prompted me to get creative and learn how to do it myself. My wife, Kelly, acquired some tutoring help to learn Adobe’s InDesign software, taught me the basics of what she learned, and then I managed to completely submerge myself in the interior of this book for the past several months. Well doggone it, I think I finally got it. The design is essentially finished, (just waiting on a few final copy edit changes from one of my copy editors) and will soon be sent to Create Space for final approval and printing – WooHoo! I have been waiting for this moment for almost 2 years. I mean, this project has all but completely taken me over, and as much as I have learned and grown in the process, it will be nice to have my life back. P.S. You can make an advance purchase of your copy of the book to our new online store we just set up. This will not only guarantee immediate delivery the day our first shipment of books arrives, it will also help me pay for some upfront printing costs. P.S.S You may notice I have put a CD and audio downloads for sale in the store as well. This CD “Songs Without Words” is an instrumental project I recorded in 2003 while I was on a break from the Toby Keith tour. 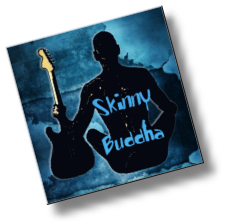 With flavorings of rock, blues, jazz, and Americana, it is an audio snapshot of where I was musically at that moment in time.